Inbar Shahak is an Israeli artisan who is a textile designer by profession. 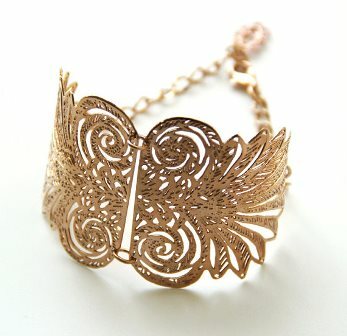 So it is easy to see how textiles inspired her beautiful etched metal lace jewelry designs. Inbar adds, "I'm inspired by the work of women in ancient times." 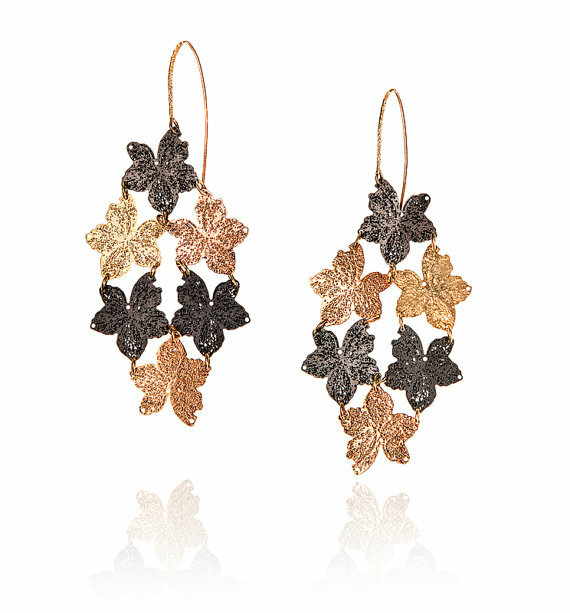 Stunning examples includes her Barika collection which utilizes dozens of metal lace leaves. 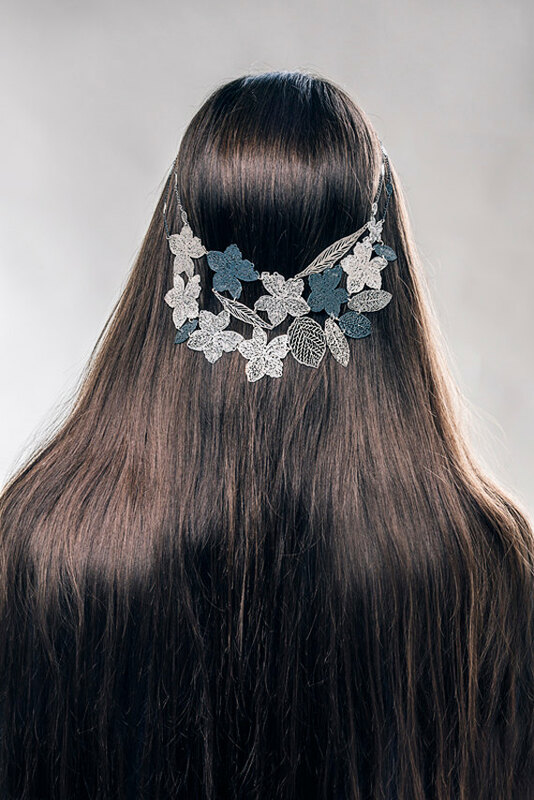 The lace pattern is hand drawn and then etched onto the metal. 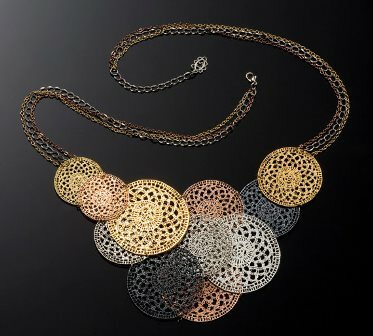 Inbar also uses different patinas to color her design pieces. Her first collection was actually wire crochet work. 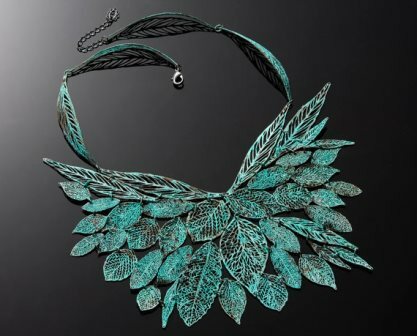 But after exhibiting at the Premiere Classe in Paris, she said she started drawing her crochet patterns with a fountain pen and used them to "silk print" metals. Inbar makes both statement and more understated pieces. Her much bolder pieces though come from collaborations with runway fashion designers - check out the special edition jewelry on her website. There is an amazing series of fashion jewelry underwater photographs by Hagal Nativ. The video link there shows how challenging it is for both model and photographer! Check out Inbar's own video which shows off some of her work and her environment in her country. She also talks about how she got started and demonstrates how she uses a torch to heat the metal while she creates the verdigris. Simply wonderful! 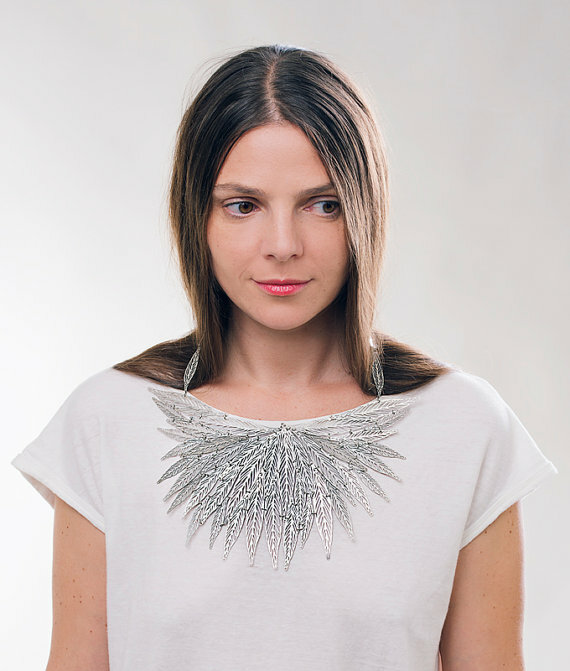 Inbar collaborates with a knitwear designer, Adva Bruner from Duende. Thanks Pearl for sharing this post . Wow, so intricate! What a talented lady.